Life as a Broadway actress is never dull. Ali Ewoldt's days consist of voice lessons, auditions, rehearsals, performances and the anxiety of not knowing when she'll land her next gig. She has worked as an actress for eight years -- performing in musicals (her biggest role was playing Cosette in Les Miserables on Broadway), as well as plays, movies and TV shows. Because of the unpredictable nature of her work, Ewoldt earns more than $100,000 some years and scrapes by on less than $30,000 during others. No matter how much she earns acting, she tries to live frugally and takes on side jobs like babysitting to tuck away as much money as possible. 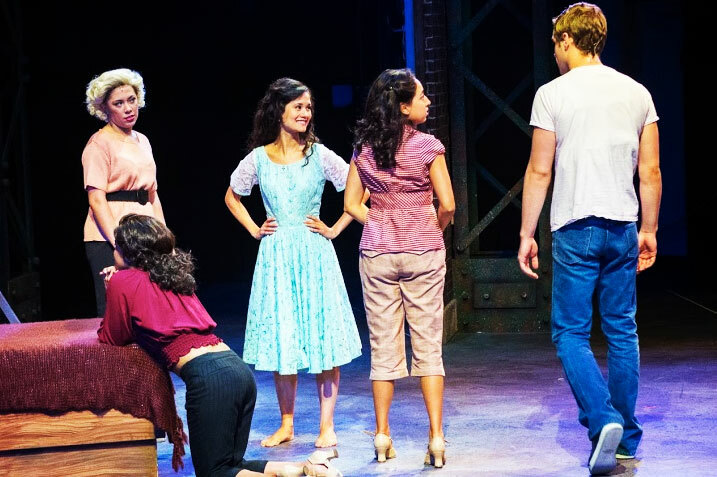 This month, she left Manhattan for her latest gig: a 2-week stint in Kansas playing Maria, the female lead in West Side Story. Time to wake up! 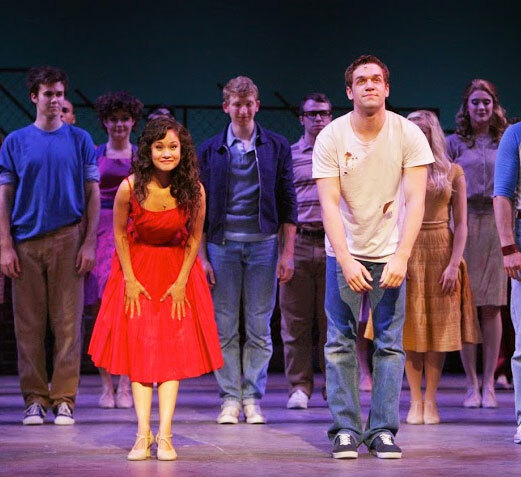 We finished rehearsal (of West Side Story with the Music Theatre Wichita) at midnight last night, so I definitely feel a little worse for wear. Luckily I have this adorable creature to greet me. 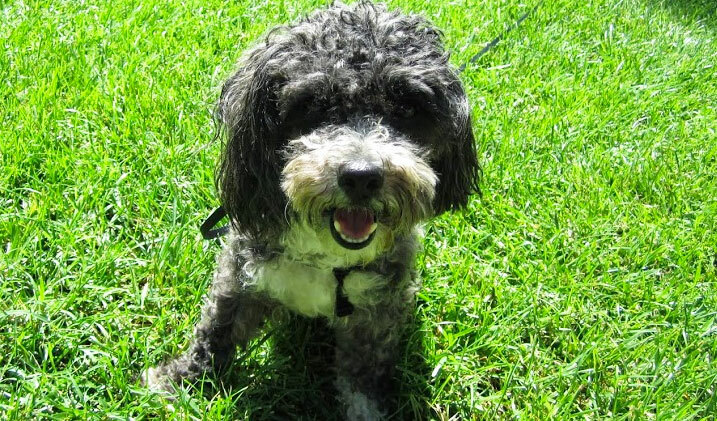 I adopted Mia Belle (a toy poodle) from the Humane Society in New York about 4 weeks ago. She's about 2 1/2 years old, came from a dog hoarding situation and is incredibly sweet and loveable. Morning walk at our company-provided housing, the Hotel Waterwalk. What a luxury to have all of this green to ourselves! Because of my long rehearsal hours and the unfamiliar environment, Mia has been spending time at doggie daycare. The ladies of Paws to Play have been wonderful with her! 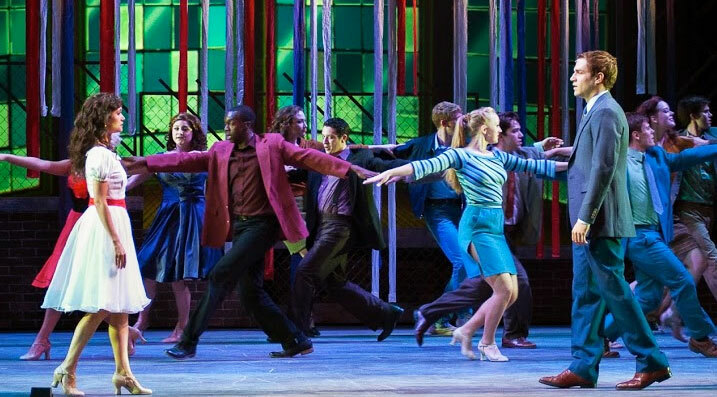 It takes a lot to stay vocally healthy enough to sing a show like West Side Story. 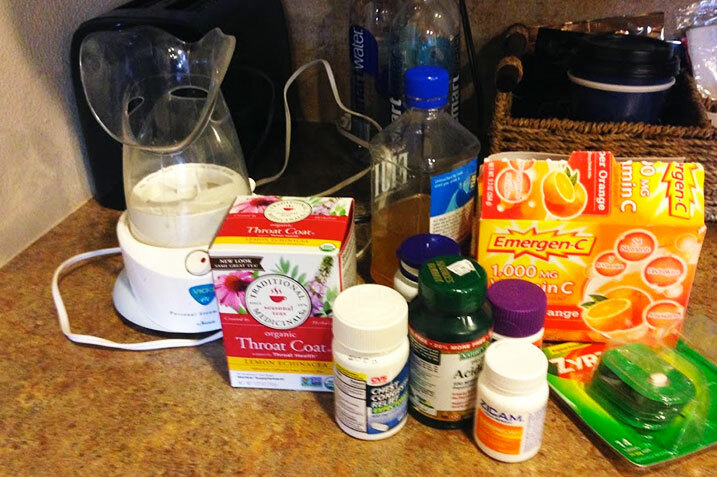 Allergies are atrocious in Wichita, so in addition to my usual regimen of steam, apple cider vinegar, Emergen-C, Throat Coat, etc., I add Allegra, Zyrtec and Nasonex. 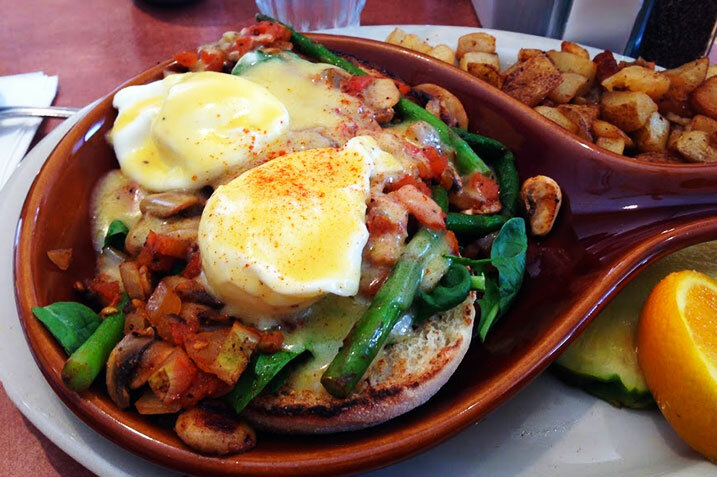 Breakfast at The Good Egg! It's our cast members' 22nd birthday today, so we're having a celebratory breakfast. 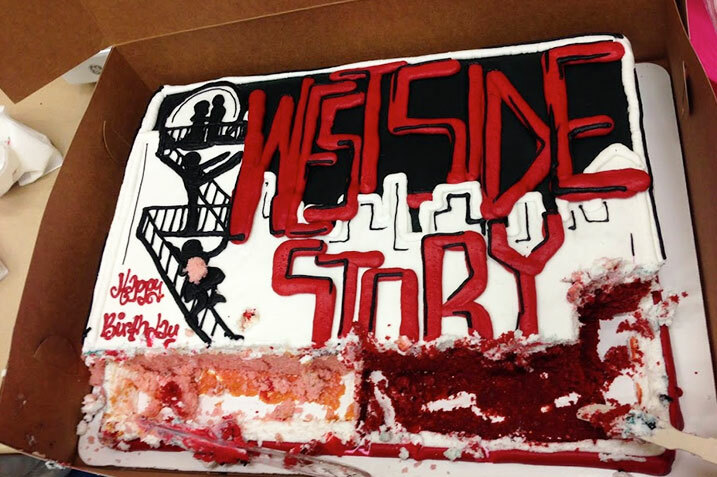 The majority of our cast has either just graduated or are still in college. Part of what is so wonderful about working at MTWichita is that it is a training ground for future musical theater professionals. There are 3 of us who are Broadway actors that have been brought in from New York. I arrive at our theater in the Century II building. I always need to do a vocal warm-up before rehearsal, and I prefer the acoustics of the bathroom-- it's like singing in the shower! Half-hour call: we have this time to get ready for the on-stage rehearsal: get into hair, make-up and costumes. Lauren from the hair department curls my hair, adds extensions and secures my microphone. We resume the technical rehearsal we began last night with the end of the second act opener: "I Feel Pretty." My scene partners, Kelsey Ryan Moore, Shea Renne, Lily Kaufmann and I have a blast during this number-- it is by far the most fun Maria has in the show! This is a time for the creative team and designers to set lights and sound and practice moving the set pieces around between scenes. We're there so they know what the lights will look like, where the sets will go, and so on -- it isn't about rehearsing our scenes. It is often very tedious for the actors because there is a lot of waiting for things to be set up and repeated scene changes as the crew works to time them out properly, but we pay attention as best we can. On a 10 minute break, regulated by my union, Actors' Equity, which all Broadway actors are required to join. It is through my union that I get health insurance and adequate breaks, compensation, working conditions and days off. Many of my castmates in Wichita are working towards joining the union -- it is always very exciting to get your "card!" Rehearsals can't go more than five hours without stopping to take a one-and-a-half hour break. Plus, there must be a five-minute break after each 55 minutes of rehearsal or a ten-minute break after each 80 minutes of rehearsal. During my break I take some time to hang out with my castmates. We are finished "tech-ing" the show and change back into regular clothes. 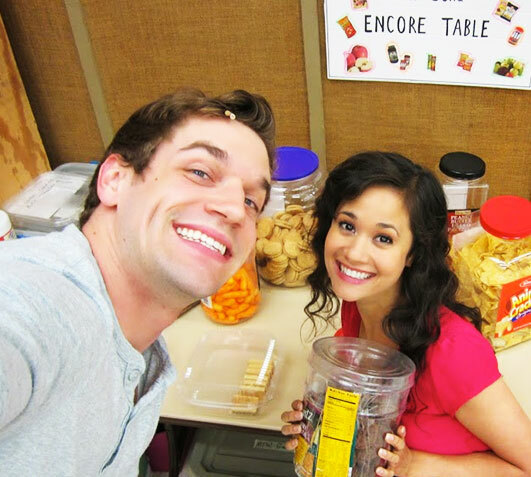 Ryan Vasquez, who plays Tony, and I head to the snack table which is full of delicious things that aren't really great to eat all day long (and still fit into your costume): popped tortilla chips, lemon cookies, chocolate cookies, cheese puffs, Twizzlers. I have a particular weakness for peanut butter pretzels. Released from rehearsal for dinner. Head to pick up Mia in a torrential Kansas thunderstorm -- eek! It feels like driving through a river, but I safely make it to her and bring her back to the hotel. Living in Manhattan, I drive very rarely. Not so in Wichita. I eat dinner in my hotel room -- a buffalo "chik'n" sandwich and an apple. While eating, I also finish season 2 of Orange Is the New Black -- such an amazing show!! Required to be at the theater for notes/clean-up. I also head up to the Civic Leaders gathering upstairs in the theater and meet some local politicians and patrons of the theater. Half-hour call for our dress rehearsal. I begin to get back into makeup, hair, microphones and costumes. Our first and only dress rehearsal begins! This is a very, very fast rehearsal process. If I were doing a Broadway show, we'd have about 6 weeks of rehearsal, a long tech process and multiple dress rehearsals and an entire preview process. Because of the limited time in Wichita, we've squeezed all of this into 9 days! It is a very exciting (and often stressful) experience, but it helps that I've played Maria many times before. People often ask if it gets boring to literally say the same words and sing the same songs so many times. Honestly, it doesn't. I find that every night (and certainly every production) is different. If I am really doing my job: listening, then there is no way any two performances can be identical. Everything in the plot of West Side Story is falling apart (I won't spoil it), but thankfully the dress rehearsal is going pretty well! I've made some little mistakes and there are technical elements we haven't perfected yet, but we haven't stopped. As they say, "the show must go on!" We get out of costumes but still have to stay at the theater for notes and fixes. We're all a little loopy at this point from the many hours of rehearsal and the stress/elation of performing in front of our first audience. Birthday cake and snacks for Kelsey's birthday and we are released from rehearsal! After walking Mia and getting ready for bed, I fall into a deep sleep.